Is a Phased Retirement Right for You? Not done working? Phased retirement might be the next best thing. One day you’re a full-time employee, and the next day you’re not. That’s what retirement can feel like, but if you’re looking for more of a gradual exit or no exit at all, you might consider phased retirement. America has a big labor problem—a massive amount of highly skilled workers are retiring or have reached retirement age, and that has companies concerned. Not only are people they at retirement age, they hold all of the high-level knowledge. Even worse, many industries are experiencing a shortage of young workers to fill the gaps. On the other side, many of those 50 and 60-something workers don’t want to retire. A Merrill Lynch-Age Wave study revealed that 72 percent of pre-retirees over the age of 50 want to continue working in some capacity. Nearly three-quarters of Americans don’t see themselves traveling the world or working in the yard all day. Rarely does it happen but in this case, the two sides complement each other. Employers have an opportunity to retain employees of retirement age because they want to work. That’s where phased retirement comes in. Instead of completely retiring, those workers could reduce their hours, only work certain days, move to a less stressful department, or work from home. Despite employers hearing that pre-retirement employees aren’t ready to leave, and a clear benefit to the company, a surprisingly few companies embrace phased retirement. 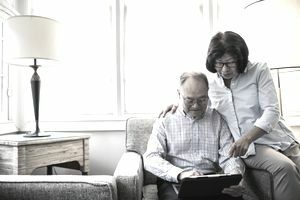 A study from the Transamerica Center for Retirement Studies (TCRS) found that 77 percent of employers believe that their employees plan to continue working after retirement but only 31 percent of those companies embrace phased retirement. And by the way, the GAO report above is titled Phased Retirement Programs, Although Uncommon, Provide Flexibility for Workers and Employers. Both studies agree that phased retirement isn’t as common as it should be. The biggest reason seems to be the fear of lawsuits. Could a company open itself up to litigation if it gives a benefit to employees based on age? Because phased retirement often comes with an attractive benefits package, why can’t a younger employee work part time and get the perks of a “phased” employee? There’s also the management issue. Having employees coming and going on different schedules and working only certain days makes it difficult for company managers who have to keep things operational and efficient every day. And, of course, some companies aren’t overly excited about paying for benefits like health insurance and retirement for employees who are now contributing half as much as they once did. Finally, it’s hard to promote somebody when there’s somebody else hanging around in doing half of the job. Phased retirement has its benefits but also some potential headaches for the employee too. Reduced work hours will likely mean some reduction in pay and the amount of money moving into their retirement accounts. There’s also the issue of continuing to earn an income if they want to receive Social Security benefits, and the urge for an employer to continue treating the employee as a full-time employee despite their part-time status. If you’re one of the almost two-thirds of the pre-retirement workforce that wants to try phased retirement, it will take some salesmanship. First, make a strong case for how it will benefit the company. What’s the win-win for them? Second, consider learning a new skill. Is there another job that may not require full-time hours that would only require a little additional training? Does your company need somebody to travel to other offices and train or evaluate? Do they regularly hire outside consultants in areas where you have expertise? Think of “outside-the-box” angles like these instead of fighting for your current position, especially if what you do now is a full-time effort and the company isn’t going to hire somebody to shadow you even for a short period.